1st printing with number 1 on copyright page. VG plus book and jacket - no markings, light wear. An adventurous ride through the most blisteringly hot regions of science, history, and culture. Melting glaciers, warming oceans, droughts-it's clear that today's world is getting hotter. But while we know the agony of a sunburn or the comfort of our winter heaters, do we really understand heat? 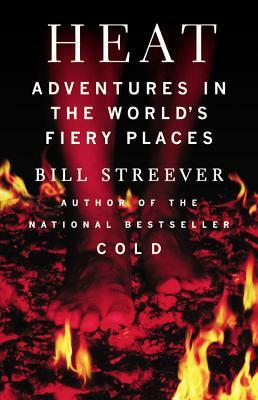 A bestselling scientist and nature writer who goes to any extreme to uncover the answers, Bill Streever sets off to find out what heat really means. Let him be your guide and you'll firewalk across hot coals and sweat it out in Death Valley, experience intense fever and fire, learn about the invention of matches and the chemistry of cooking, drink crude oil, and explore thermonuclear weapons and the hottest moment of all time-the big bang. Written in Streever's signature spare and refreshing prose, HEAT is an adventurous personal narrative that leaves readers with a new vision of an everyday experience-how heat works, its history, and its relationship to daily life.